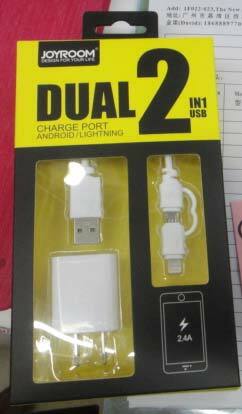 We, as a main Supplier, Exporter and Importer, present Dual Port Mobile Phone Charger. It is purchased from the vendors who consistently deliver unconditional quality. It is renowned for its robust structure, easy installation and low maintenance. We make it available at reasonable rates in safe packages. It is available for our treasured customers at cost effective rates. Get this immaculate quality on offer delivered at your doorstep.